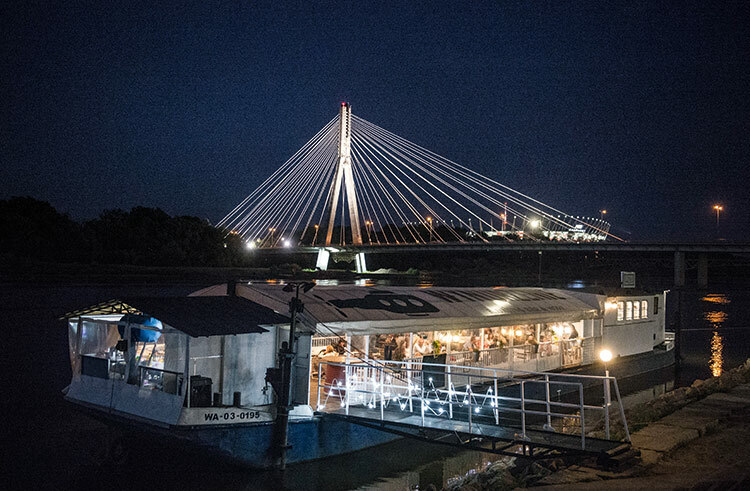 Locals are up in arms after news was leaked of a proposal to severely clamp down on the bars and clubs that have come to define Warsaw’s waterfront scene. In response to concerns about litter and noise pollution, City Hall are rumored to have laid out plans that will see only two clubs given music licenses, and only then on the condition that sound is limited to 70 decibels – in short, that spells an end to the debauched all night parties for which the Wisła has become known. Namechecked by The Guardian newspaper as being one of the most dynamic riversides in Europe, the left bank of the Wisła has transformed in recent years into a giant summertime party with thousands of drinkers hitting the bars and clubs each weekend to party till dawn. Last summer, those figures reached a zenith after local government officials rescinded a law banning the consumption of alcohol outdoors. Now, however, the new mayor, Rafał Traszkowski, appears committed to putting an end to the hedonism, a move that has left many baffled and angry. Celebrated for its diversity, color and raw, unrelenting energy, the Wisła’s summer season has come top embody the capital’s maverick soul; should City Hall have their way, the Wisła stands to lose its identity and slip into anonymous homogeneity – though talks between officials and the Wisła’s nightspots are ongoing, already many are fearing the worst.